The idea of socialism has given normative grounding and orientation to the outrage over capitalism for more than 150 years, and yet today it seems to have lost much of its appeal. Despite growing discontent, many would hesitate to invoke socialism when it comes to envisioning life beyond capitalism. How can we explain the rapid decline of this once powerful idea? And what must we do to renew it for the twenty-first century? 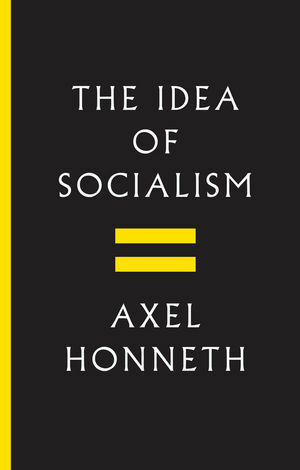 In this lucid, political-philosophical essay, Axel Honneth argues that the idea of socialism has lost its luster because its theoretical assumptions stem from the industrial era and are no longer convincing in our contemporary post-industrial societies. Only if we manage to replace these assumptions with a concept of history and society that corresponds to our current experiences will we be able to restore confidence in a project whose fundamental idea remains as relevant today as it was a century ago  the idea of an economy that realizes freedom in solidarity. The Idea of Socialism was awarded the Bruno Kreisky Prize for the Political Book of 2015. Axel Honneth is Senior Professor of Philosophy at the Johann Wolfgang Goethe-Universität in Frankfurt, Germany, where he is also the Director of the Institute for Social Research, and the Jack C. Weinstein Professor of the Humanities at Columbia University in New York. In 2015 he was awarded the Ernst Bloch Prize.